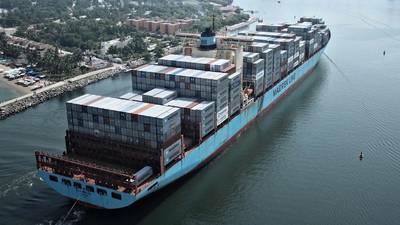 Shipping major AP Moller-Maersk Group's export-import (exim)-focused trade finance arm Maersk Trade Finance is targeting a 33 percent loan disbursal growth at $200 million in 2019 in India. The trade financing solution arm of Danish business conglomerate said that it disbursed a total of USD 0.7 billion globally till date since its inception in 2015, with over 150 million in India in the year 2018, a 53% Y-o-Y increase as compared to 2017. The company also diversified and ventured into new customer segments such as Retail and FMCG in 2018, in addition to increasing focus on Auto, Metals & Agri-food and Chemical trade. Maersk Trade Finance has onboarded over 120 importers and exporters based in India. The company continues to work with customers across India, Singapore, UAE, Netherlands, USA and Spain and plans to further expand and cater to the needs of the growing SME and Start-up audience in India to co-create simple solutions and enable global commerce, further encouraging them to participate in global trade. In addition to providing export solutions, the company also introduced import financing solutions in 2017 which grew by 30% Y-o-Y in 2018. “While trade finance has been a catalyst for expansion, for most SMEs, access to funds has been restrictive due to strict collateral requirements and credit background checks. As digital trade finance develops into an essential alternative, start-ups and SMEs will no longer be as reliant on banks as before,” he added. Maersk is working on many opportunities to simplify the way industry operates today as well as making sure that customers’ needs are met in the best possible way. One example is TradeLens which is a trade digitization solution using blockchain technology. It is built for the entire global shipping industry to transparently and efficiently share data in a way that could not be done before. It is still in its initial phase incorporating feedback from more than 100 pilot users to further refine the solution and make it one that can benefit as many ecosystem partners as possible.